Glad to see that that situation worked out fairly well for you. but, did you get all your stuff back? do i have to go and read day 31? and when are you coming (back?) to kyushu? I got some stuff back. My hard drive with my photos was all that mattered to me. No Kyushu plans for the near future! Hey I am just surfing online for the well furnished apartment. Actually I am shifting my house soon. So I urgently need to buy an apartment. My friend has suggested me grand valley apartments. Please share something regarding grand valley apartments. Congratulations on the new apartment! My partner and I just moved in to a new house courtesy of Ryan Homes. I'm glad you have found a place to stay on such a short notice. I hope we don't get evicted on our new Manila real estate property as well. It's good to know that you have already found a new apartment to live in. 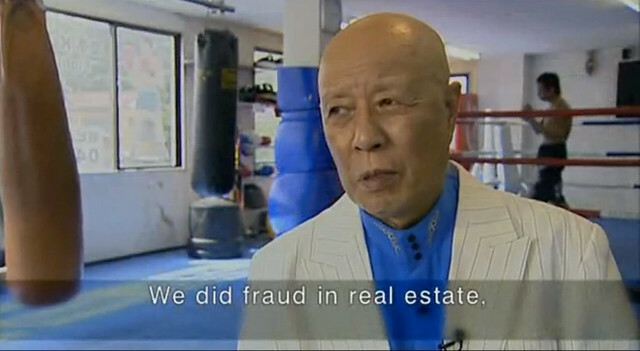 It's a sad thing to know that Fraud and other scams also exist in the world of real estate. I'm glad I chose thailand real estate in making my own property. Eviction is one of the worst things to happen in an individual. It's good to know though that you were able to get all your stuffs back together with your new apartment. The apartment is looking cozy and I like the sofa set therein. Congratulations for moving into the new apartment. I agree, many thanks to the author. Thanks for taking the time to share this,Great blog post. Thanks again..
glad to discover this blog, really deserving praise site. thanks for share!!! Another company I know to buy furniture is Indian Crafts.